The 10 Best Luxury Car Dealerships in Georgia! If you’re ready to buy the car of your dreams, Georgia’s likely got everything you’re looking for in a car. Luxury car dealerships are thriving in the Peach State, giving you all the amenities you could imagine—and then some. Make your car dreams come true at one of these 10 best luxury car dealerships in Georgia. If you’re looking for the finest in like-new luxury cars, locals know there’s only one place to go—the Motorcar Collection. They’re known for carrying best-in-class brands like Mercedes-Benz, Rolls-Royce, Bentley, and Ferrari, to name a few. Best of all, you can score your dream ride for well below MSRP. Smart buyers know that IQ Autos offers the best in sales and service. Brands like BMW and Mercedes-Benz are among the most popular here, but you can also find the likes of Maserati, Cadillac, and Porsche on occasion. Mercedes-Benz and BMW are among the top sellers at Georgia Luxury Motors, among others. Their fans love buying cars here because they offer extended warranty option to give you more peace of mind when purchasing your new-to-you car. With seven locations in the Atlanta metro, there’s no doubt you’ll find the perfect pre-owned luxury car. They specialize in top makers like Acura, Bentley, Lexus, Porsche, and Maserati. 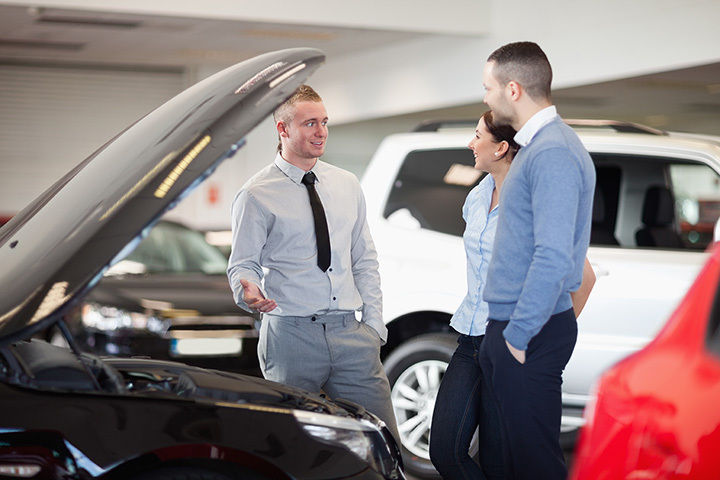 Fans love them because they make the entire car buying process easy, from helping you find the ideal make and model to helping you drive it off the lot. More happy customers! Great job, Mark!! Equal parts body shop and dealership, you’ve got your pick from two locations’ worth of pre-owned inventory. You can usually find a huge range of Lexus, Mercedes, and Jaguar, among others. If you’re looking for something specific, they have a knack of finding it for you—and within your price range! What they lack in numbers they more than make up for in quality, price, and service. This small-but-effective pre-owned luxury dealership features models like Infiniti, Cadillac, and Lexus to let you ride away in style. You can get pre-approved on their website and even schedule your test drive. Their name says it best—you’ll find classy, luxury cars by some of the best names in automobiles: Mercedes-Benz, Land Rover, Infiniti, and Lexus, to name a few. If you didn’t know you were at a used car dealer, you might have to look twice to believe these cars aren’t straight from the factory. They take care to select only the best in class to make sure your ride has plenty of highway life left in it. This pre-owned dealership carries a variety of quality used luxury models as well as cars on the higher end of standard. Locals rely on Vaden for quality pre-owned Cadillacs, Lexus, and Infiniti to suit their cravings for finer things. There’s always something new to discover at Select Luxury Cars. The folks here take care to carefully select each automobile that lands on their lot. Brands like Porsche, Audi, and Aston Martin commonly make appearances here, but inventory changes frequently. You can check availability on their website ahead of time to save you a trip. Though not entirely dedicated to all things luxury cars, Platinum Used Cars is often well-stocked with Mercedes-Benz, BMW, Cadillac, and other high-end names worthy of being your next car. They make it easy to view all their inventory online so you can save time when you get there.